My sister Becky is my weekly guest blogger, reporting on food trucks from the Teller & Michelson lunch lot in Irvine, CA. 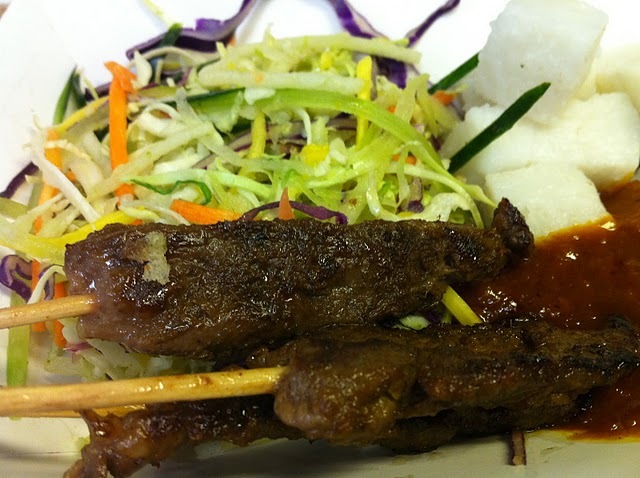 The Chomp Chomp truck was at the Teller Lot, and I went for the wagyu beef skewers, which came with a slaw, rice cubes and peanut sauce. Delicious as always!